Sapphire blue glass beads and jewels - BOGO sale! I've recently restocked some of my favorite sapphire glass jewels, and since sapphire blue is the birthstone color for September, it seemed like a great time to feature a BOGO sale! Just in time for Fall - from August 14, 2018 through August 18, 2018 (at midnight!) 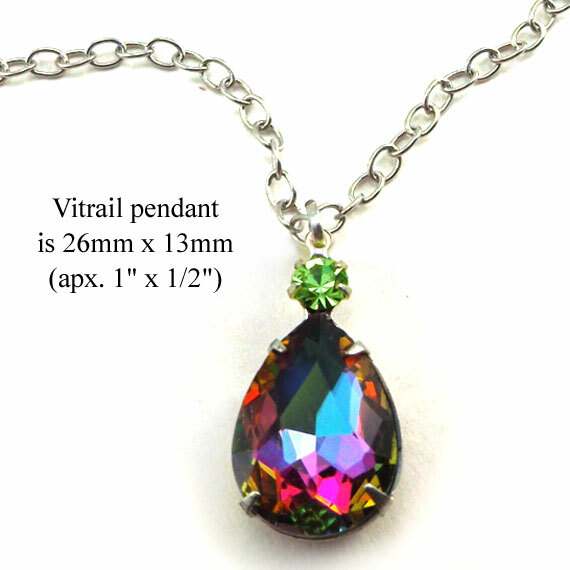 - when you buy one pair of sapphire glass jewels or beads, you get a secone pair free. BOGO sale - great September birthstone jewels - and easy DIY jewelry. This is a win! This aqua glass teardrop jewel makes a wonderful bridesmaid pendant - and right now, it's available with a "buy one get one free" BOGO sale! It's easy to use - just slip a sturdy jump ring through the ring at the top of the setting. Slip a chain through the jump ring, and your necklace is ready! And such a deal - right now, it's available at a BOGO sale! Buy one pendant, get one free! The BOGO sale lasts from May 26, 2018 through midnight on May 28, 2018 - so don't wait too long. Sometimes, you want to wear a small, adorable pair of earrings. You want them to be inexpensive (hey, it helps!) and easy to make - but most of all, you want them to look good. Well these are adorable and vintage (yay!) and make such cute earrings! You see what I mean? It doesn't have to be complicated, or expensive. Add earwires (yes I offer them in my shop) and you're good to go. This is the most important thing you can give your mom for Mother's Day - a hug, your love, and maybe take some chores off her hands. Take her to church if she likes that, take her out to eat, or bring a picnic to her so she can relax at home and still not have to cook. White glass cabochons for bridal jewels - and a BOGO sale! And yellow just seems to be a sunshiney thing. So for the next few days, if you buy any of my jonquil yellow jewels, you get another second pair free (equal or lesser value, you know how that works). Don't these make you think of springtime? For one day only, April 5, 2018, buy one of these gorgeous peridot green glass teardorp pendants - and you can pick out a pair of coordinating earring jewels for free! Just let me know what your earring choices are - and thank you! And check back often for more "Deal of the Day" specials - hey, it's fun, and you save money!